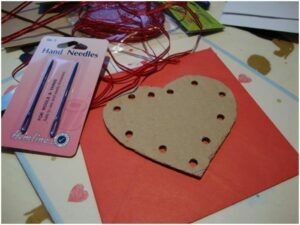 Have you got a little one in the house, who is dying to give “grown up crafts” a go? Or are you dying to teach your young ones skills such as knitting and sewing? When ARE kids ready to have a go at these? To be honest, I do think there is no “specific age”, but if you live in a craft(ish) household like we do, then I would say they are “never too young” (well almost never), and it is more about how much support you give them. 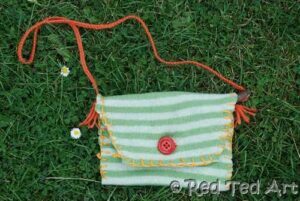 If you are in a less crafty household (fair enough), then you probably would want to start kids on tasks such as sewing from 6yrs+…. BUT it is all about practice and selecting the right materials and projects. 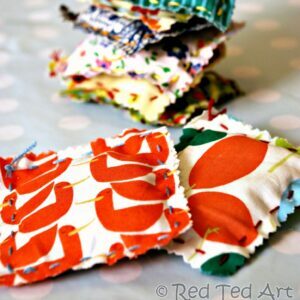 I started mine sewing at the tender age of 3!! 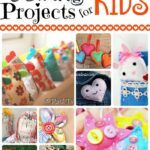 Our Sewing for Kids projects were simple and took a LOT of involvement from me (helping hold their work, encouraging them to go “Over and under” in the right spots). It DOES mean, that my now 5.5yrs old is quite good at sewing pretty much on her own. Yes her stitches are not all even and yes, I often have to come to the de-tangle rescue, but she is ready. So, take my “age guide” with a pinch of salt. Some kids are ready younger and some need a little more help even if older. That is totally fine and NORMAL. 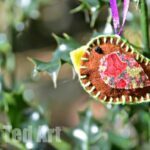 Today’s Sewing for Kids project are some cute little Button Star Ornaments or Keyrings (they make lovely DIY Christmas Ornaments too). 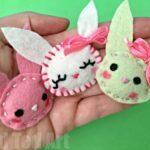 They make a perfect gift that kids can make and Pip Squeak made one of hers for Granny’s upcoming birthday. But I think think that they are marvelous for Christmas too! 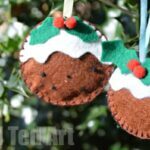 If you fancy more Kids Sewing Projects FOR CHRISTMAS, we have lots more inspiration for you! 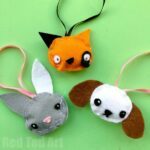 Check out the photos BELOW the post – for links to other Sewing for Kids beginners projects – cute ideas made simple for kids. But don’t forget you may need to help! 1) We started by selecting a cookie cutter shape/ size that we liked! Then Pip Squeak (5.5yrs) picked out some colours of felt. 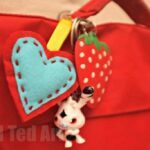 Whilst I traced the cookie cutter with a pencil and cut out TWO PIECES for her she choose some buttons. I noticed that our cookie cutter is a bit bent (ahem), so I think our stars came out a big wonky.. but hey ho. 2) I helped thread the embroidery thread for Pip Squeak and tie a knot. She started off by then sewing on the buttons. 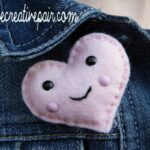 3) Once the buttons are on you can sew the two star sides together, using a running stitch. Leave a little opening for stuffing and the ribbon. 5) Knot the ribbon (secures it a bit more), position and sew shut. 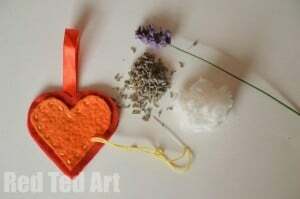 I helped with this, as the ribbon can be fiddly. I also helped secure the thread at the end. Stand back and admire and make someone very happy when you give them this cute little Button Christmas Star Ornament! And of course some DIY cardboard lacing. Love these simple Flowers/ Rosettes. They are super clever and EASY to do! 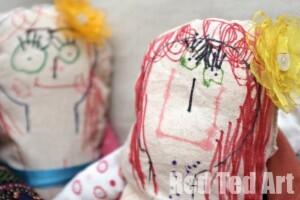 Have you given sewing with kids a go? 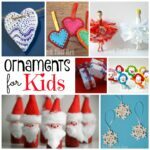 It really isn’t as hard as you think and you will find that the kids adore it! 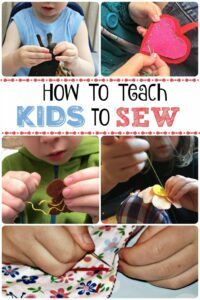 Check out our teaching kids to sew article! 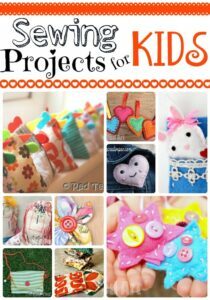 As well as our great Sewing Projects for Kids!